My daughter, Alicia Ames, has a new son. The first two photos are of her two year old daughter, Anna Morgan Ames, taken in the hospital with her new brother, Holden Robert Ames...one day old. (Holden was my mother's maiden name and my middle name.) Are we in heaven yet? The pictures were taken in June of 2008. The third picture was taken on Christmas day, 2008. It shows Anna with her cousin, Jack Phelps. 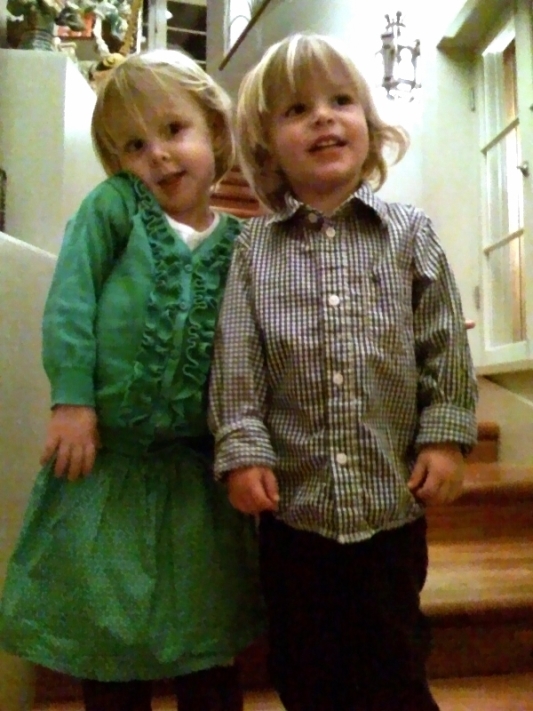 They are my Christmas Angels, almost three years old.